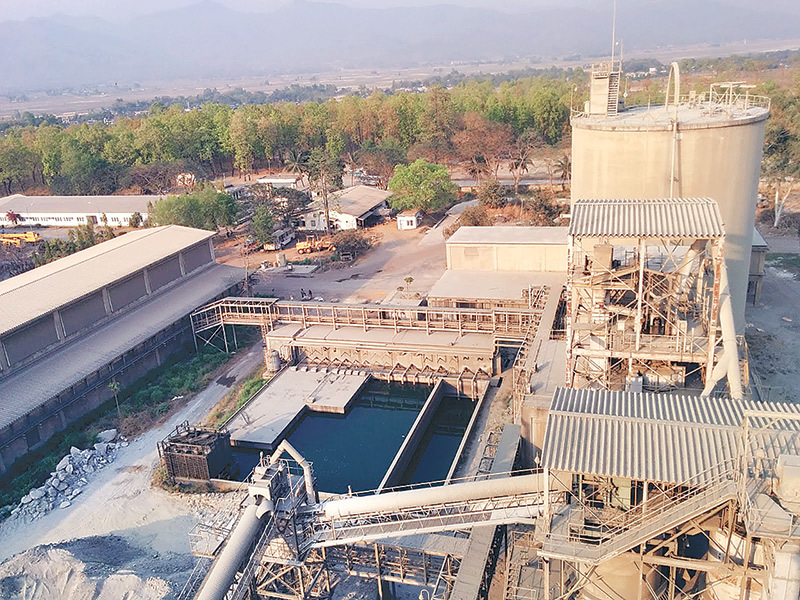 Hetauda Cement Factory and Udaypur Cement Factory will spend Rs1.5 to Rs2 generated from sales of every sack of cement to fulfil their corporate social responsibility (CSR). The Ministry of Industry (MoI) directed the two state-owned cement factories to make those contributions as per the provision included in the Industrial Enterprise Act 2016. The funds will have to be set aside beginning April 16, says a statement issued by the MoI on Friday. “The proceeds will be used to cover health, education and nutrition costs of underprivileged children,” Industry Minister Nagendra Raj Joshi said. The new Industrial Enterprises Act has made it mandatory for medium and large scale industries, and cottage and small industries with annual transaction of over Rs 150 million to invest at least 1 percent of their income to fulfil CSR. The private sector is also positive about contributing a certain chunk of revenue for charity. They have, however, requested that they be allowed to enrol such spending as expenditure in their balance sheets. A number of participants who attended a meeting at the Industry Ministry on Friday, meanwhile, stressed on the need to create a common basket where contributions made by the public and the private sectors could be collected. Industry Secretary Shankar Prasad Koirala said proper coordination with concerned stakeholders was important for effective implementation of the legal provision on CSR. Representatives of the United Nations Children’s Fund and the International Labour Organisation (ILO), who took part in the meeting, lauded the ministry’s initiative, which, according to them, would positively impact underprivileged children. In the last week of January, financial sector regulator Nepal Rastra Bank (NRB) made it mandatory for banks and financial institutions to spend 1 percent of net profit on activities that would enable them to fulfil their corporate social responsibility (CSR). Issuing a circular, the central bank had directed all banks and financial institutions to establish CSR fund and use the money collected in one financial year to finance CSR projects and programmes in the next fiscal year. Considering the net profit of Rs49 billion generated by commercial banks, development banks and finance companies in the last fiscal year, these institutions will have to spend at least Rs490 million a year on CSR activities from now onwards. According to the NRB circular, the amount, however, should not be spent on activities aimed at promoting the brand of banks and financial institutions, or to serve individual and political interests of board directors.